I like to see numbers in context. I’ll start with the 14-23 named storms. On average, 11 storms are named every year. The most active Atlantic hurricane season on record was 2005 – the same year of Katrina, Rita and Wilma – when there were 31 named storms. The first storm formed on the 8th of June and the last storm dissipated on the 6th of January, 2006! For those unfamiliar with hurricane naming conventions in the Atlantic, see this page. The set available this year are the same as those used in 2004. So if there are 14 named storms, Nicole will be the last of 2010. If there are 23, then just like 2005, the list of names will be exhausted. In 2005, storms after Wima were assigned Greek alphabet names. That convention could be used again this year if things get really ramped up. There were 15 hurricanes in 2005. So this season’s projection calls for fewer hurricanes (tropical storm systems that attain 74mph sustained winds) than 2005. Last season, there were only 3 hurricanes. 2008 saw 8 hurricanes form – so this year could be more similar to that year. The average number of hurricanes per year is 6. 3-7 major hurricanes – those are big numbers. The average number of major hurricanes per year is 2. A major hurricane is one that reaches Category 3 strength on the Saffir-Simpson hurricane scale. Storms typically have a minimum of 111mph sustained winds. Of those 8 hurricanes in 2008, 5 reached major hurricane status: Bertha, Gustav, Ike, Omar and Poloma. Of the 15 hurricanes in 2005, 7 reached major hurricane strength. The difference between 2005 and 2008 in terms of number of major storms then was only 2. A lot of factors determine how strong hurricanes get. So the difference between 2 major hurricanes and 3 is a lot more than just a number. The ACE measurement is a relatively new one. 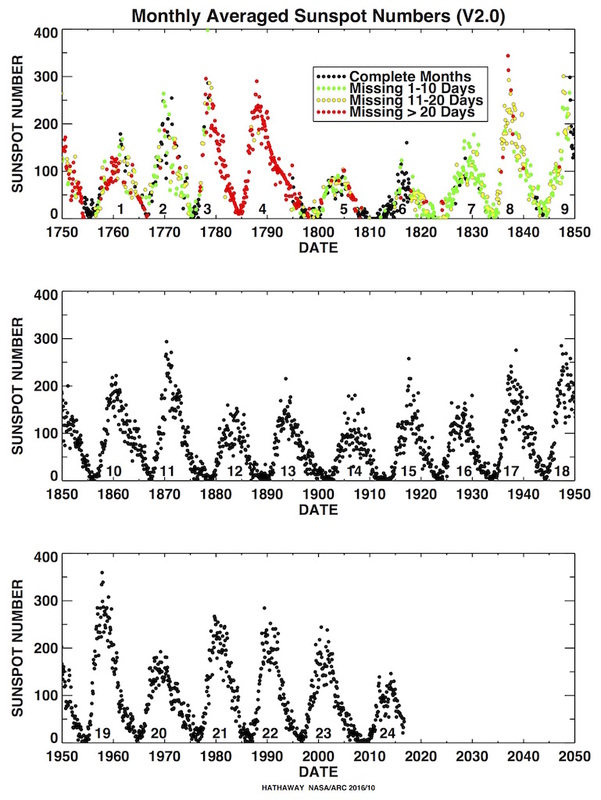 It is the Accumulated Cycle Energy, used to measure individual storms as well as entire tropical seasons. The ACE is calculated by squaring the the estimated maximum sustained wind velocity of each cyclone with sustained winds over 35 knots (tropical storm strength) every six hours. Those values are then added together over the life-cycle of the storm. The ACE values for every year since 1851 has been calculated by Chris Landea at NOAA’s National Hurricane Center. A projected ACE of 155%-270% of the median is obviously indicative of a very active season. One of the factors that has a big influence on how strong tropical systems that enter the Gulf of Mexico can get is the position and strength of the Gulf Loop Current. This is the same current being discussed in relation to the oil volcano currently erupting off the Louisiana coast. The good news for the potential future spread of oil away from the Gulf of Mexico is an eddy has broken off the Loop Current. Oil within the eddy will more likely stay in the Gulf rather than be transported out of it, as Dr. Jeff Masters explains in this blog post. The last Loop eddy that broke off is still in the western Gulf off the coast of Mexico, having traveled 3-5km per day since it broke off the main current back in July 2009. Unfortunately, what’s good for limiting the spread of oil can be bad for tropical systems entering the Gulf. The eddy maintains very warm sea temperatures to great depths, making high energy available to passing storm systems. Hurricane Katrina is a perfect example of this. She crossed the Florida peninsula on 26Aug2005 with 75mph sustained winds. One day later, as she passed north of the western side of Cuba, she had strengthened to 115mph winds (a Category 3). She stayed at that strength for another day while she passed over the northern edge of the Loop Current. Then, she encountered a loop eddy. Four hours later, her sustained winds jumped from 115mph to 144mph, becoming a Category 4 storm. 12 hours later, her winds were 161mph, becoming a Category 5 storm. 16 hours later, they had rocketed all the way up to 173mph. In just over half a day, Hurricane Katrina went from a weak Category 3 storm to a Category 5 monster – mostly because she passed directly over the warmest core of the Loop Current eddy. Thankfully for the residents of the Gulf Coast, that eddy was still in the middle of the Gulf. If it had been closer to land, Katrina would have been even stronger at landfall. In fact, Hurricane Rita passed over that same eddy later in 2005, rapidly strengthening just like Katrina did. Rita’s path took her over even more water before landfall than did Katrina’s. Rita still caused Houston to be partially evacuated and did plenty of damage after landfall. So conditions are prime for another above-average hurricane season. Individual storms will of course form where they will and little can be confidently said about their potential impacts on the Caribbean or Mexico or the U.S. Potentially dangerous storms can quickly come together with all of the conditions that presently exist. 2010 could be another infamous season. Categories: science | Tags: 2005 Atlantic hurricane season, 2005 Hurricane season, 2008 hurricane season, 2010 Atlantic hurricane season, Gulf Loop eddy, Hurricane Katrina, Hurricane Rita, hurricanes | Permalink. Forget Deficit Costs; What Are The Costs Of High Unemployment? A jobs bill in Congress is being hacked apart and watered down by so-called “centrists”. What these folks really are is termed “deficit peacocks”. No objections to the unfunded occupations of two nations can be heard from these preening birds. They would rather cut all deficit spending, at the risk of forcing today’s bad unemployment rates even higher. Yet the deficit hawks’ peachocks’ rejoinder is essentially: So what? Government spending is out of control. We need to cut back now. The problem with this ostensible solution is twofold. First, it conflates short-term deficits needed to stanch the recession with long-term issues of fiscal sustainability. Such thinking risks turning a short-term recession into long-term stagnation, much as Japan did in the 1990s by failing to stimulate its economy sufficiently. Second, it calculates the dollar cost of the stimulus but neglects to factor in the dollar benefit from, for instance, keeping hundreds of thousands of teachers, police and firefighters on the job and paying taxes rather than collecting unemployment insurance. Once such particulars are accounted for, a new study from the liberal Economic Policy Institute argues, the cost of the jobs created in the bill coming before the House this week is more than halved, from $75 billion to $35 billion. Again, Republicans weren’t held to the same standard when it came to Afghanistan and Iraq. Why not? It wasn’t the liberal media that held them to account. (Because the media doesn’t have a liberal bias. Duh.) Voter support for the invasions and occupations would have been much lower had the Cons been honest by telling them nothing was paid for today – that it was our children and grandchildren (that they’re supposedly so concerned about now that middle-class jobs and not ultra-rich tax cuts are on the table) that would suffer. Since the U.S. didn’t experience the lost decade of the 1990s the way Japan did, we didn’t learn the lesson of their economic stagnation. What’s worse, however, is the large number of folks who say they studied the problems and solutions of the 1930s Great Depression in preparation for their current stations in our government, controlling public policy. They’re by and large advocating for more unemployment so their deficit credentials can look better. Decades of runaway spending under Republican control occurred and now its the Democrats who have to tighten the country’s belt. Don’t think that happened by accident either. Republicans hate the programs begun under the New Deal and the Great Society. They long ago decided to attack them from every possible direction. If they couldn’t legislate the programs away because of the public revolt that would follow, they would bankrupt the country for their foreign policy disasters so that the programs would be starved for funds. Way to go, deficit peacocks! You’ll likely force the country to suffer from chronic unemployment for the remainder of this decade. But your deficit credentials will be bright and shiny on your chests! And it’s not like you’ll be held accountable for trashing our future anyway. Yipee! Categories: economy, framing, politics | Tags: Cons, conservative economic policies, deficit, unemployment | Permalink. Democrats are on pace to waste on of the largest one-party majorities in history. Given the size of the caucus in each chamber of Congress, most Americans assumed that something would be done to address the multiple crises this country faces. You do know what happens when people assume things, don’t you? It turns out that old adage was true. Great and needed reforms have not been the products of this Congress. Edge-nibbling and incrementalism have been the products instead. Financial industry reform was supposed to be the next great thing that Congress took up. It’s desperately needed: thanks to a bunch of billionaires, Wall St. has turned into America’s largest set of casinos. Unlike the ones found in Las Vegas, these casinos are unregulated and have a more direct impact on Americans’ lives. Witness the 2008-2010 Great Depression redux if you want an idea of how out of control these banksters have gotten. Wake up Congress! The financial reform bill you just passed won’t protect us from economic chaos. Why? Because it fails to burst the mother of all bubbles — Wall Street itself. Despite that simple fact, Americans will start being subjected to pandering politicians selling their “look what we accomplished” bs. How many will be reelected? Or, how many will fall to the wave that I see building during this year’s election cycle: Americans want tangible solutions passed. Politicians might get away for a short while telling us how awesome they are. What happens when the economy crashes again? What happens when people realize how little health care insurance legislation accomplishes for them and how much it accomplishes for the failed system? 1. Break up the top twenty banks that are too big too fail. 2. Institute a financial transaction tax. 3. Pass a windfall profit tax of 75 percent on Wall Street bonuses and hedge fund income. 4. Raise the marginal tax rate on those earning $3 million or more per year to 70 percent. 5. Ban the sale of complex derivatives to all public entities and pension funds and ban public and pension investments in hedge funds. To do any of these, however, would require elected officials that have not been thoroughly bought off by the financial industry. That’s one reason we’re in the mess we’re in. Those large majorities I started out with won’t last forever. Congress members are going to want to travel back to their districts and states in a couple of months – which means the time for actual work to get done is quickly dwindling. What will happen next year when there are even fewer Democrats? How long will it take to get a meaningful number of solid progressives in place to exert influence? Categories: business, economy, framing, politics | Tags: casinos, financial derivatives, financial reform, financial transaction tax, Les Leopold, marginal tax rate, too big to fail, Wall St., windfall profit tax | Permalink. Both NASA and NOAA released their separate analyses of global temperatures through April 2010 this week. Both agencies come to the same conclusions: April 2010 was the warmest April on record; the four-month period of Jan-Apr 2010 was the warmest such period on record (dating back to 1880). NASA’s analysis reported a +0.73°C (+1.314°F) surface temperature anomaly for April 2010 (over the 1951-1980 base period). This easily beat the previous record 0.66°C (1.188°F) anomaly from 2007 and the 0.62°C (1.116°F) anomaly from 2005, according to NASA’s GISS dataset. NOAA’s analysis reported a +0.76°C (+1.37°F) surface temperature anomaly for April 2010. According to the NOAA methodology, the next warmest April was observed in 1998: +0.71°C (+1.28°F). With record and near-record monthly temperature averages observed so far in 2010, it is no surprise to see the January-April period this year also setting a temperature record. According to NASA, the Jan-Apr 2010 period has been the warmest at +0.75°C (+1.35°F). For comparison, NASA includes the same period from the two warmest years in their dataset so far: 2005 and 1998. Globally averaged surface temperatures in Jan-Apr 2005 were +0.64°C (+1.152°F) and during the same period in 1998 were +0.61°C (+1.098°F). So the Jan-Apr 2010 observed warmth was 0.11°C more than the same period in the warmest year to date on record. And yet the science-hating climate change deniers can’t stop themselves from talking about “global cooling”! I will point out again that these temperature records are occurring at a time when the lowest and longest solar minimum in a century is just ending. What will the next 5 to 10 years look like? According to NOAA, the Jan-Apr 2010 period has also been the warmest: +0.69°C (+1.24°F). The NOAA site also contains information from the same period during the warmest or the next warmest year on record. Their methodology differs slightly from NASA’s, but is just as valid and acts as an independent check on the other dataset. NOAA’s methodology identified 2002 as the next warmest for global land and ocean surface temperatures at +0.68°C (+1.22°F). While the NOAA data don’t indicate the incredible surge in surface temperatures that the NASA data does, a record is a record. Moreover, the long-term trend is really what counts. And in both the NOAA and NASA datasets, the long-term trends are bad in terms of upcoming ramifications on ecosystems and human societies. The NOAA report also includes information on tropospheric and stratospheric temperatures. I want to point out that April 2010 has the 2nd warmest lower tropospheric (lowest 5mi/8km) of the atmosphere on record: +0.50°C (+0.90°F), behind 1998 which saw +0.76°C (+1.37°F) temperatures. There is a big difference in this dataset from the ones I discuss above: the troposphere data goes back only 32 years. Here is a visual representation of the dataset for Aprils from 1979-2010. However, the data show the same kind of trend that the surface temperatures show: up. 1998 was likely affected more because of the intensity of the El Nino that was present over the 1997-1998 northern hemispheric winter season. There has also been an El Nino event this winter, but has affected temperatures globally in slightly different ways. I would like to mention something else at this point. The Bush Regime tried very hard to delay or cancel satellite missions that would continue to monitor different conditions globally from being funded, and thereby launched. Satellites don’t operate forever; replacements must be planned for and successfully launched and operated – all of which requires less interference from political hacks, like those that were put into publicly funded agencies by Bush. I felt that interference was one of the under-reported stories in the last decade. Without up-to-date technologies being planned and put into place to monitor conditions, some of the observations discussed in this post wouldn’t be possible. 2010 should set the annual average temperature record if the trends seen so far this year continue. Natural processes and cycles are being overwhelmed by anthropogenic forcing (greenhouse gas pollution). That’s why the proposed climate and energy legislation in both chambers of the U.S. Congress are so important. That’s why the legislation must be strengthened, not weakened. We continue along with business as usual at our own peril. Just like last month, a record was set in April 2010. Just like last month, the corporate media was absolutely silent about it. Cons like to whine about how liberal the media is. Don’t you think if the media had a liberal slant, they wouldn’t hesitate to trumpet rising CO2 concentrations? Atmospheric CO2 concentrations measured at Mauna Loa, Hawai’i were the highest for a single calendar month in our history: 392.39ppm. Monthly data for the past four years and the entire 52-year dataset can be found at NOAA’s ESRL Trends website. The change from April 2009 to April 2010 was 2.93ppm, one of the largest jumps for the same month from one year to the next in the observations. It should come as no surprise that record CO2 concentrations year after year have helped lead to the warmest March on record (March 2010), the 2nd warmest year on record (2009) and the warmest decade on record (the 2000s). This year should be another one of the warmest, if not the warmest, on record due to various states of climatological cycles (El Nino, NAO, etc). Keep in mind, however, that we’re also currently just coming out of the longest solar minimum in the past century. Climate change deniers like to say that the solar cycle still controls most of the year-to-year variation seen in our climate. If the 2nd warmest year on record occurred during a solar minimum, what do they think will happen in the next 5 years? Those record CO2 concentrations are starting to take over as a leading factor in the climate. That won’t change until the concentrations are forced back under 350ppm. Categories: environment, global warming, media, science | Tags: 350ppm, climate change, CO2 concentrations, global warming, solar minimum | Permalink. With the state facing a budget shortfall of at least $11 billion, Texas Gov. Rick Perry [Con] has spent almost $600,000 in public money during the past two years to live in a sprawling rental home in the hills above the capital, according to records obtained by The Associated Press. Perry has asked state agencies to cut their budgets by 5 percent and the Republican House speaker has begun to consider furloughs and shortened workweeks for state employees. Texas Cons won’t ask for the wealthiest to pay for their fair share. Instead, an $11 Billion budget shortfall will require furloughs, shortened workweeks, …, everything apparently but cutting their own disgusting waste of taxpayer money. What did the lavish rental home include? 5 bedrooms?! 7 bathrooms?! 1 gourmet kitchen?! 3 dining rooms?! Democratic critics have said Perry and his wife, Anita, could live in a downtown apartment while the mansion is under repair. Should he win in November, Democrat Bill White, the former Houston mayor and multimillionaire lawyer challenging Perry’s bid for a third full term, told the AP he would rent his own home until the mansion is repaired. It’s a shame the voters of Texas can’t decide where their Governor gets to live. I seriously doubt they think 5 bedrooms, 7 bathrooms, a gourmet kitchen and 3 dining rooms is helping Gov. Perry “manage” their state better than a more modest house would. Perry and many other Cons just like him love to live off public welfare. They just don’t want average Americans to enjoy the same. Categories: framing, politics | Tags: Con hypocrisy, Cons, Gov. Rick Perry, Mayor Bill White | Permalink. You would think a headline and story like that would have received some kind of attention in the so-called librul media. Yet digging for this information was required: snow cover for North America was the lowest on record in April 2010. That correct: the lowest of any month since 1967. Not just all Aprils; all months. That’s a scary freaking record to make. Remember what Sen. James Inhofe’s (Oil-OK) family was doing back when Washington D.C. got some snow this winter? Building igloos and mocking Al Gore. Ha ha! Gosh, that was a good one, Senator! Um, where are you know, Mr. Class Act? Hm? I’m sure glad you got your childish stunt done while there was actually snow to make igloos, because there’s a massive shortage of snow from the entire continent now. As I wrote the other day, April was anomalously warm across the U.S. That post covered some data contained in NCDC’s April 2010 report. All this goes to show that James Inhofe and his band of deniers don’t understand what the heck they’re talking about. One snowstorm doesn’t constitute climate. One month of anomalous warmth for the U.S.; one month of anomalous warmth for the globe; three months of near-record anomalous warmth for the globe – that gets at climate trends. And as I’ll document next, the globe doesn’t care if Washington D.C. got 12″ of snow this winter. Record heat is being observed this year, just as climatologists have predicted. If Sen. Inhofe really was classy, he would offer an apology for his childish antics. I won’t hold my breath waiting. Categories: environment, global warming, science | Tags: climate change, global warming, Rutgers University, snow cover | Permalink.